Specifically designed for use on common house pets, the Flea Zapper provides a safe, effective and chemical-free solution to a very common problem - fleas. 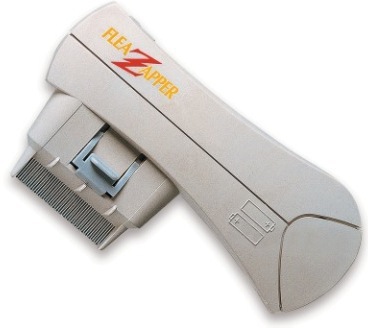 The Flea Zapper detects and kills fleas on contact, while grooming the fur. Flea Zapper can be used on dogs, cats, puppies, kittens and geriatric dogs and cats. The tight comb is electrically charged and releases a discharge that kills the fleas without causing harm or discomfort to the dogs and cats they are attached to! It is pet-friendly, safe and easy to use, and very effective.